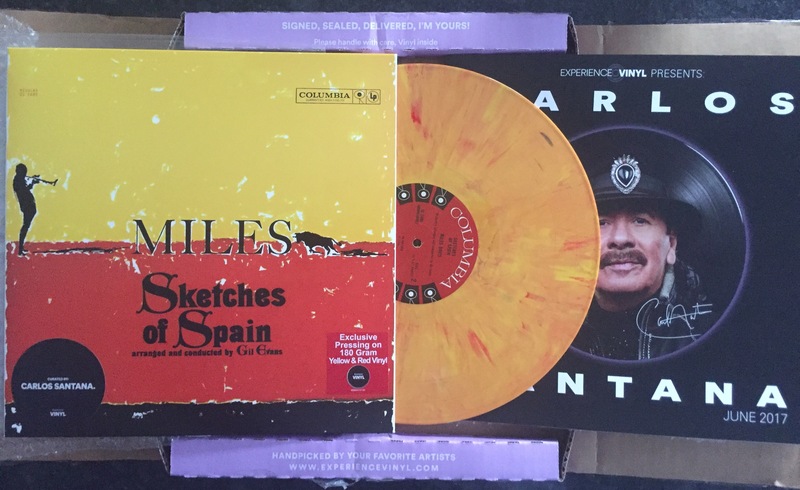 Home › Music › Vinyl Subscription Services: Which One Is Best? Vinyl Subscription Services: Which One Is Best? Last time, we looked at Vinyl Me Please and its cocktail recipe. It was all very shiny and pleasing, but didn’t solve the perennial issue of potentially lumbering you with records as welcome in your collection as Mariah Carey’s Greatest Warbles, or that beige vinyl copy of “Gary Barlow’s Blandest Hits”. So before you throw yourself into your splatter-coloured vinyl copy of Notorious B.I.G. in a determined and well-meaning attempt to finally actually like it, there are other turntable-botherers out there who want you to buy their pretty-looking records, and who may suit you better, so here’s a round up of the best. First up is Turntable Kitchen, a small business based in the USA and one of the first such offerings to surface after vinyl’s recent resurgence. In fact these guys surfaced before Vinyl became popular again! 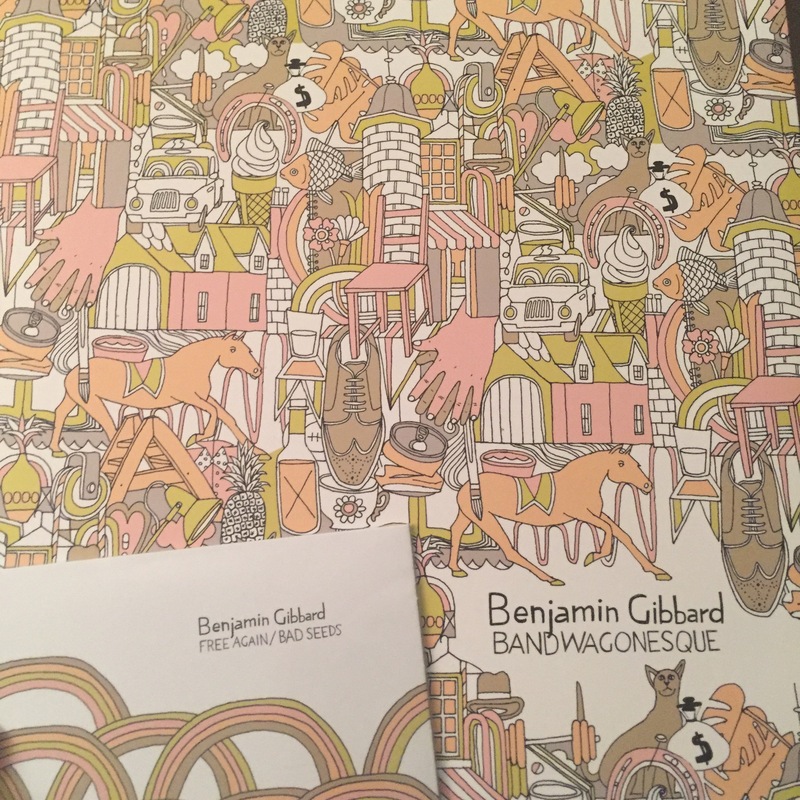 I got in touch with founder Matthew Hickey to ask him all about the business, meanwhile ordering Ben Gibbard’s cover album of Teenage Fanclub’s Bandwagonesque, released under their “Sounds Delicious” subscription plan. The album is not available on vinyl anywhere else, so there’s a tick in the box right there. As is hinted at in the name, some of Turntable Kitchen’s plans come with a foodie theme – recipes and so on, and their website also carries blog posts with recipes for exotic sounding dishes such as lasagnette and I asked Matthew how it all came about. Turntable Kitchen remains very much a small enterprise and is all the better for it. Matthew emails his subscribers with updates that sound like he’s writing from the kitchen table, and that personal touch is welcome. It’s a small, well thought through enterprise and, in releasing covers albums, is offering something very different. 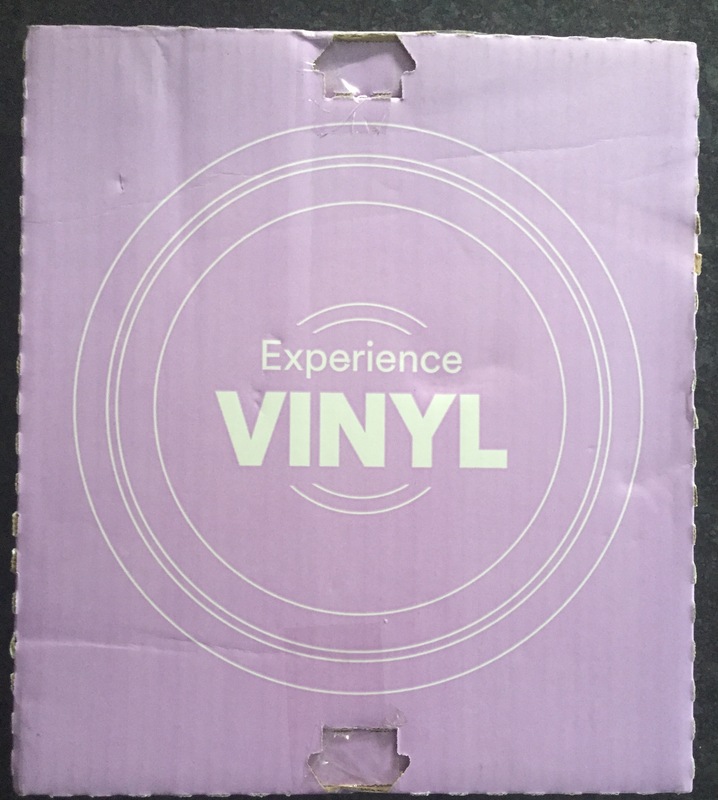 Experience Vinyl’s angle is they persuade well known musicians to recommend their favourite albums, and then issue limited editions of those records, in coloured vinyl. Jake Fishbein runs this business and I asked him how he managed to persuade some well known names to get on board with the idea. Jack White has – uniquely – a vertically integrated model: he writes the tunes, sings and plays them, manufactures the records, presses them in his own record plant, and then sells them direct. He owns every part of the process, and this may explain why the releases are such good value for money, and such good quality. The Vault is a quarterly subscription service that mines the Jack White back catalogue. Customers sign up for a subscription, but importantly you can cancel and wait to see what each release is before signing back up again, so you need never have to buy something you don’t want. This is a big tick in the box. Since then there have been live releases from every White Stripes era, Raconteurs shows, Dead Weather singles and Jack White solo shows. 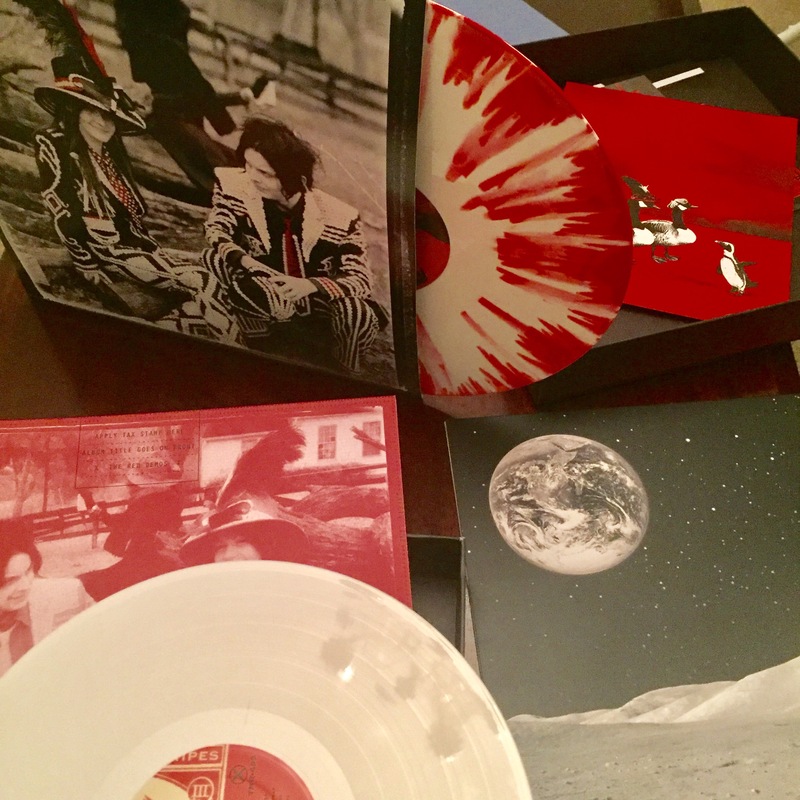 The most recent release is a deluxe re-issue of Icky Thump including two bonus LPs – one collecting the b-sides and another featuring previously unreleased demos and out-takes. Jack White is not the only Vault in town however. Slightly beneath White’s Gold Standard Vault is Kiss frontman Gene Simmons, fresh from trying to secure rights to the devil-horns hand sign. Simmons has released his own Vault and his business sense is as keen as ever. Embracing the trend towards people valuing “experiences” rather than “things”, Simmons has unearthed 150 of his songs that for whatever reason Paul Stanley may not have deemed worthy of gracing top quality Kiss releases such as “Carnival of Souls” and “Psycho Circus”, and has dropped them in a large vault, along with a Gene Simmons “business man” doll (and who wouldn’t want one of those?). To make this so far rather dubious sounding package more valuable, the Vault comes with a twist: Gene Simmons will hand over each and every one of these Vault packages personally to each buyer. It’s a box set with Meet and Greet included – you can just imagine the whoops and high fives from the marketing department when they came up with that one. And at $2,000, your five minute meeting with “The Demon” will certainly be a once in a lifetime experience. With any luck. There’s no truth in the rumour that the price goes up if you can get the package without having to meet Gene Simmons. Indeed, you can have Simmons come to your house for a couple of hours and hang with your friends. The price? $50,000. 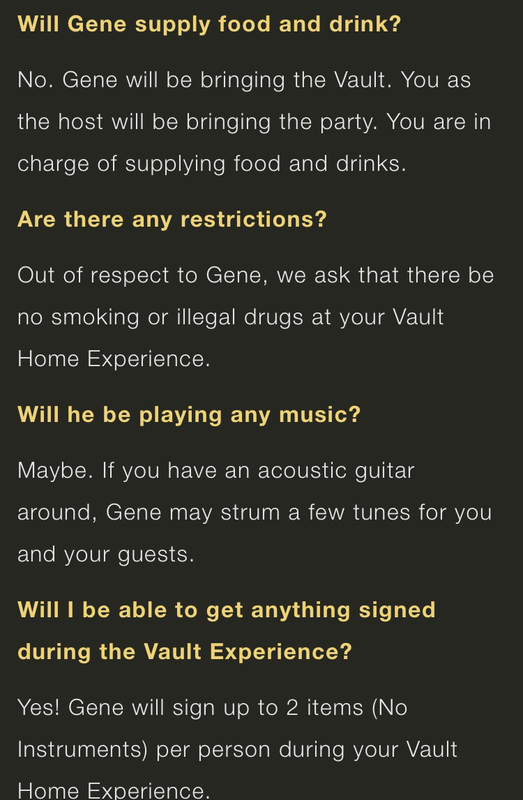 The best thing about the package is the FAQs, which tell us Gene won’t clean your house…. …won’t stretch to providing food and drink (for the avoidance of doubt)…. …and “No. No he will not” be in full make up and costume. Another recent “single artist” subscription service is The Beatles’ foray into magazine and Vinyl publishing alongside Italian company De Agostini. Now I know what you are going to say: magazine subscriptions aren’t always great value for money. You are going to tell me about that series that offered people a Millenium Falcon modelling kit for just £8.99 an issue. (The snag? It took two years and over a hundred issues. I’ll let you work out the cost of that one, but I understand at current exchange rates that’s more than Lando Calrissian reportedly paid for the actual ship). However, to De Agostini’s enormous credit, their Beatles series is sensibly priced, the pressings are excellent, on heavy vinyl, and subscribers get little extras. 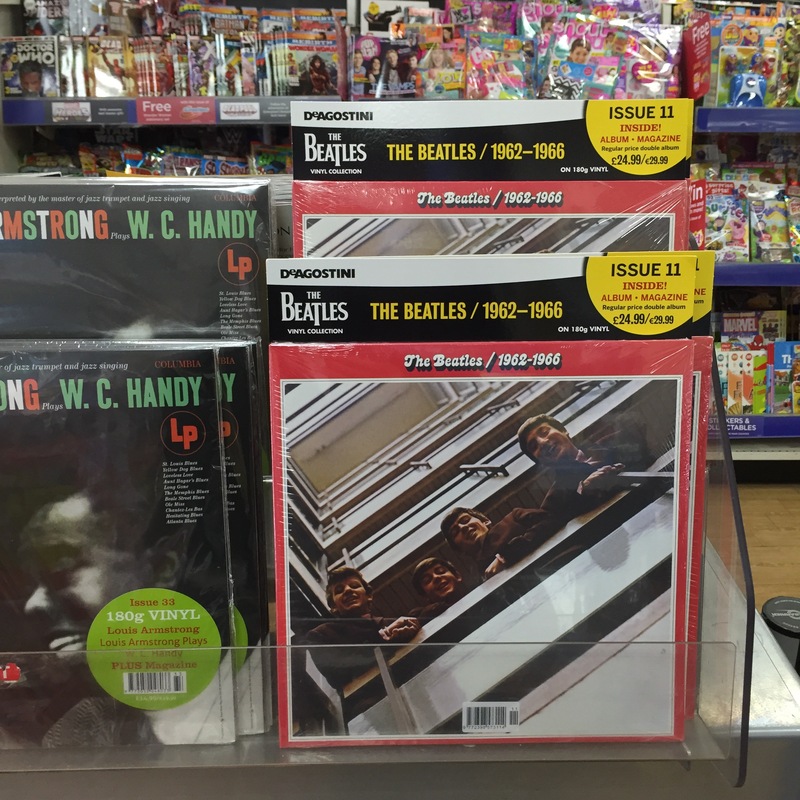 What’s more, if you buy from the newsagent, you can pick and choose your LPs. Already got Revolver? Not a problem – just skip that issue. There are other clubs. Wax and Stamp and Rough Trade are both UK based, with the latter focused on new music – a proper discovery outlet, with little perks such as club-member-only gigs. Great post. I thought long and hard about subscribing to the De Agostini Beatles series as it was a chunky amount to honour credit card each month. Despite some unpredictable delivery dates and a few hiccups with the free gifts (an album sleeve frame too small to fit a 12″ sleeve) it’s been a really good series. The pressings are excellent, beautifully recreated and sound excellent. The hard to please residents of the Steve Hoffman forums seem to agree too. Especially appealing is the appearance of the Anthology and BBC titles at a very decent price (£24), which is half what a current high st retailer thinks is a fair. I’m glad I susbcribed, it’s building to be a nice collection. Thank you, and yes, I saw those ridiculous prices from that particular High St retailer also. Glad you also have a good experience with the Beatles series. Interesting read, thanks. Though I still don’t get it. Apart from rarities and special pressings, why would anyone give an anonymous company responsibility for choosing their music? Bit like subscribing to a fashion house to send you your clothes. Well, well, well… I didn’t realise De Agostini had a range of vinyl on the go (qualifying range as Beatles and the Jazz series I’d seen). I might have a look at some of those titles, as I know the De Agostini back issue stuff is generally available on their site. I do hope more artists take the Jack White approach. Can’t understand why indie labels wouldn’t go down that route.